Lombardy is situated in the northwest of Italy and is one of the peninsula’s few landlocked regions. Lombardy is famous for possessing the largest area covered by lakes, including Lake Maggiore and the beautiful Boromee Islands; Lake Como, which bathes the cities of Como and Lecco; Lake Garda, which includes the spa town of Sirmione; Lake Iseo and the Franciacorta area, famed for its wines. 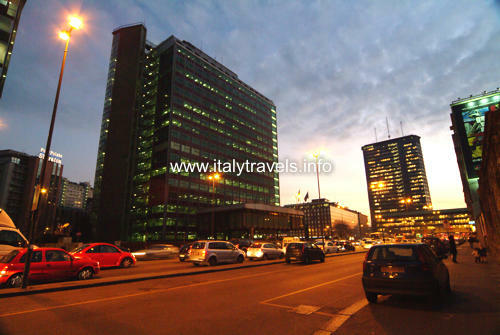 Lombardy is also a land of parks, and vast natural and cultural heritage. The Stelvio National Park, which covers an area of approx. Lombardy has a large number of regional parks protecting rivers, mountains, forests and agricultural land, each with its own unique characteristics. Visitors to the Adda Nord Park can admire the landscapes painted by Leonardo, and Campo dei Fiori near Varese is home to a Sacred Mountain complex and the Capelle dei Misteri del Rosario. The Adamello and Orobie Parks also offer spectacular itineraries. The cities of Lombardy offer a wealth of art – the unmistakeable style of each one preserving its own distinct character. 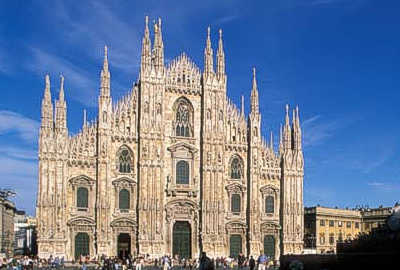 Milan, the capital of Lombardy, is a city of a thousand faces and has been called the 'City of the Madonna'. This region is divided into twelve provinces: Bergamo, Brescia , Como, Cremona, Lecco, Lodi, Mantova, Milano, Monza, Pavia, Sondrio e Varese. Lombardy has always been an important cultural centre: many great exponents of Italian literature were born here, such as Manzoni and Martinetti, and artists such as Caravaggio and Leonardo da Vinci plied their trade here. The Valtellina is one goes them wide that extends from the center of the alpine chain, in one of the tourist zones more fascinating widths and than Europa. Lake Maggiore, whose surface is shared between Italy and Switzerland, is one of the main alpine lakes and the second italian lake after Lake Garda.